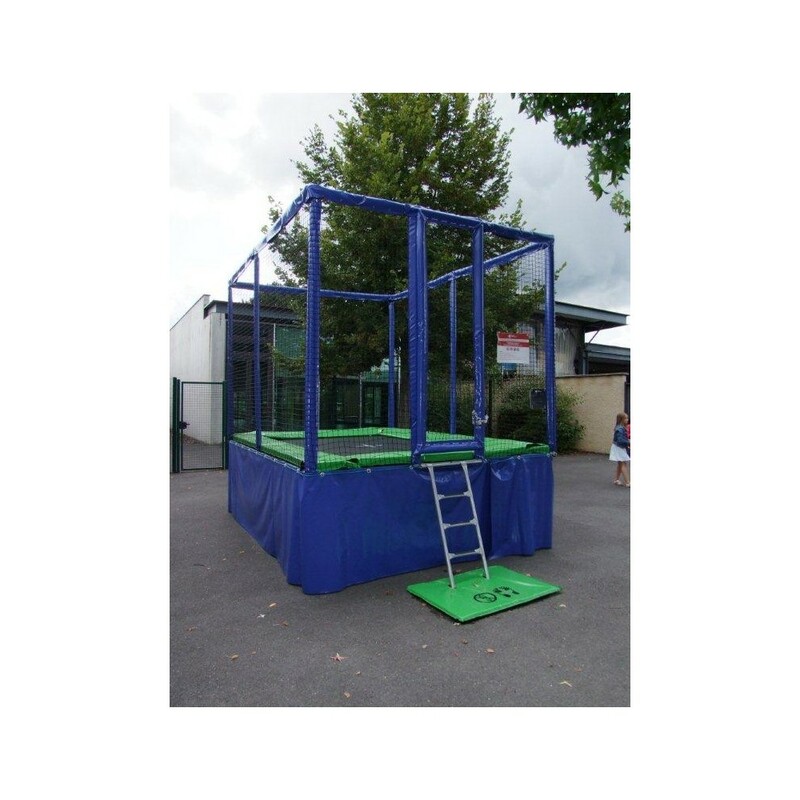 Equip your establishment with a Pro One trampoline compliant with current safety standards for public use. 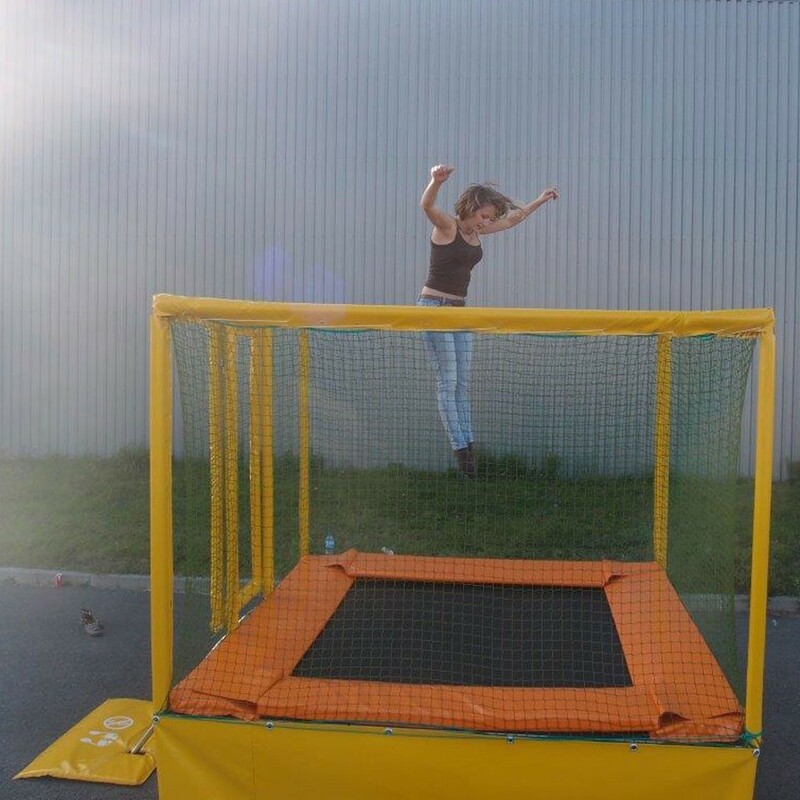 Playful and very attractive, the trampoline is a very popular activity with children and teens at outdoor leisure centres. 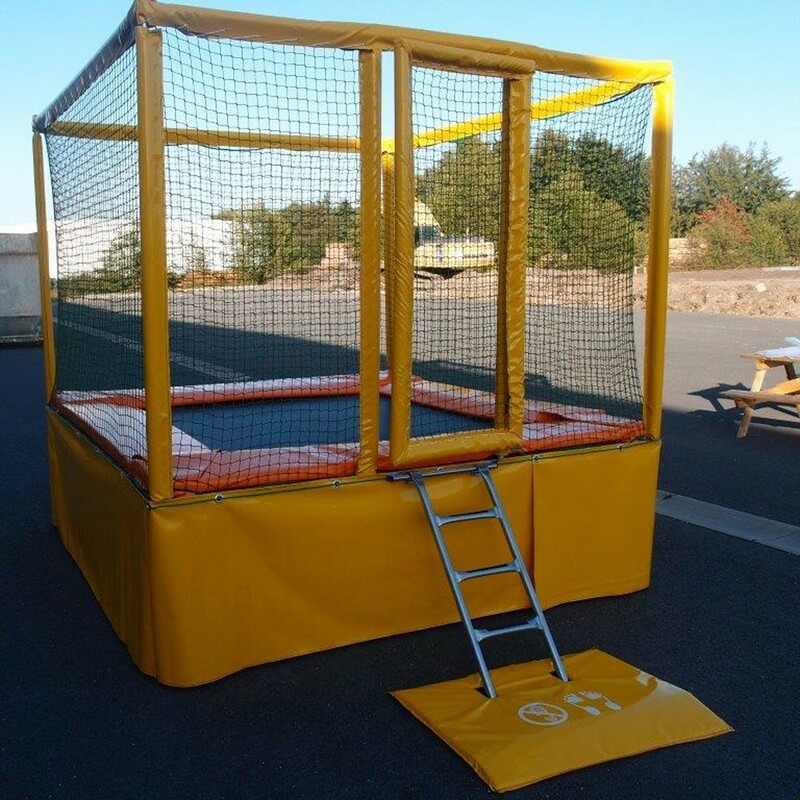 As a specialised supplier to trampoline profesionnals, France Trampoline designs trampolines built for intensive use in tourist attractions and leisure complexes. 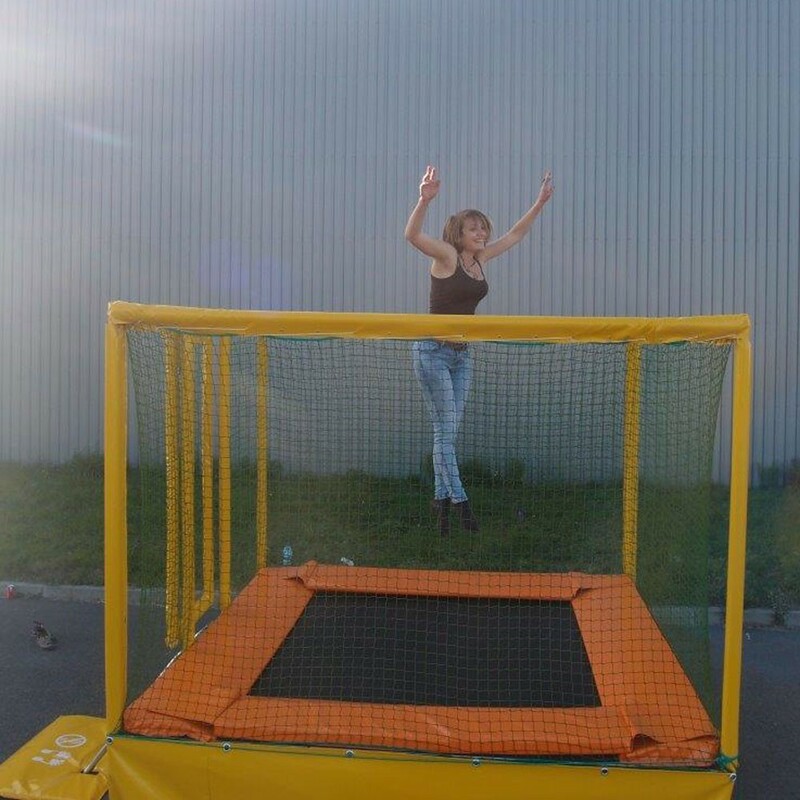 The Pro One 365 is a rectangular trampoline measuring 365 x 265 cm and it is specially designed for professional use. 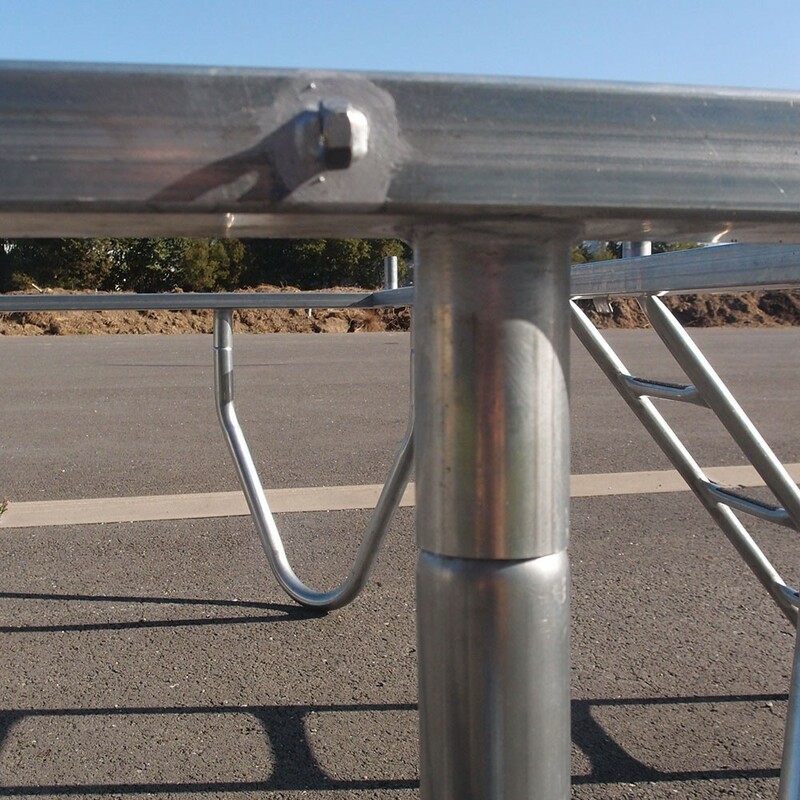 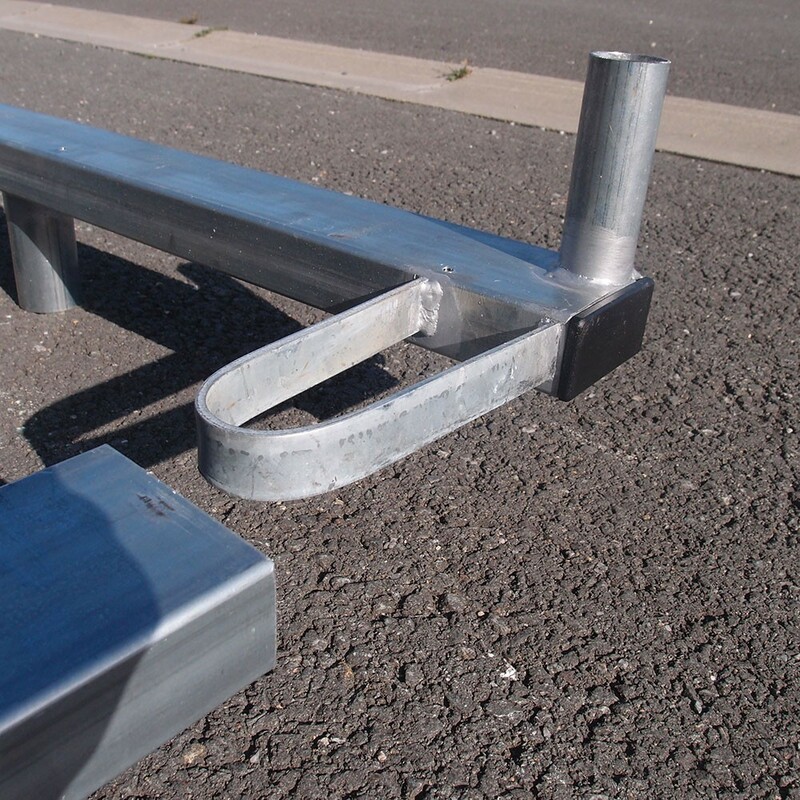 Its solid galvanised steel structure offers great resistance over time. 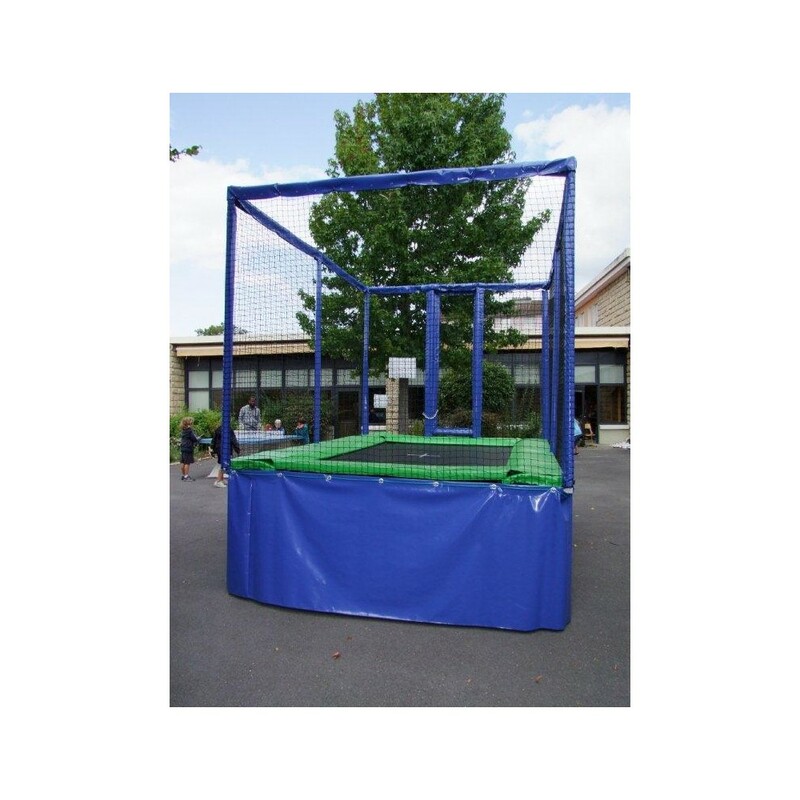 Its generous dimensions provide a largely sufficient jumping are for children and adults. 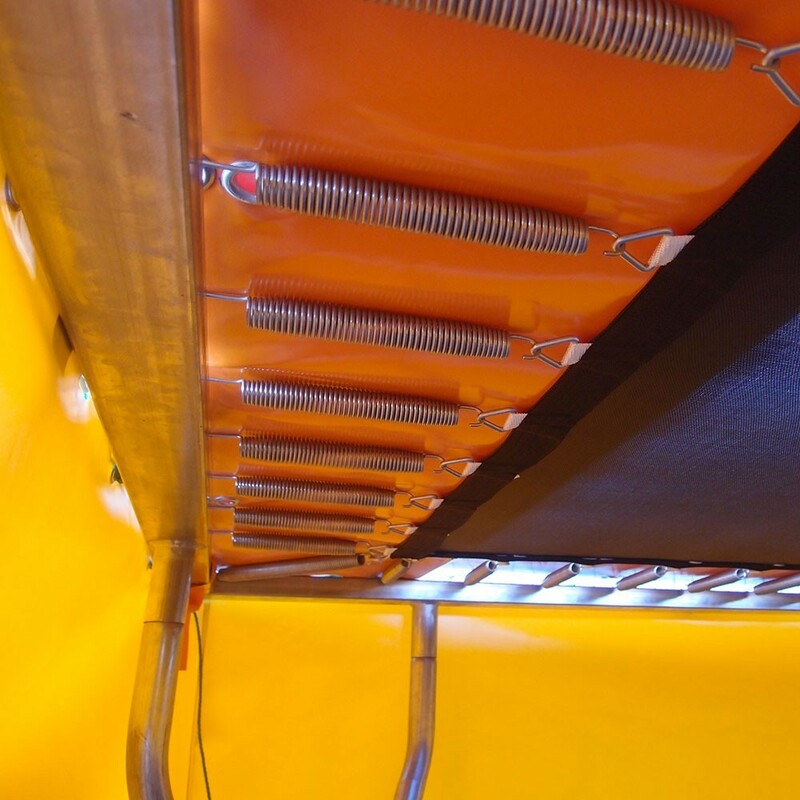 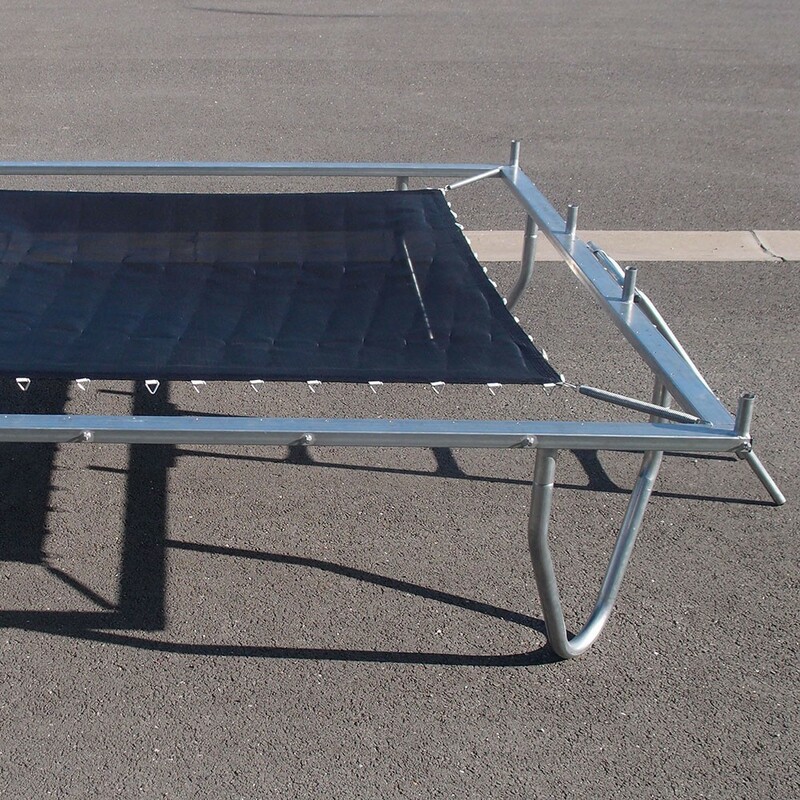 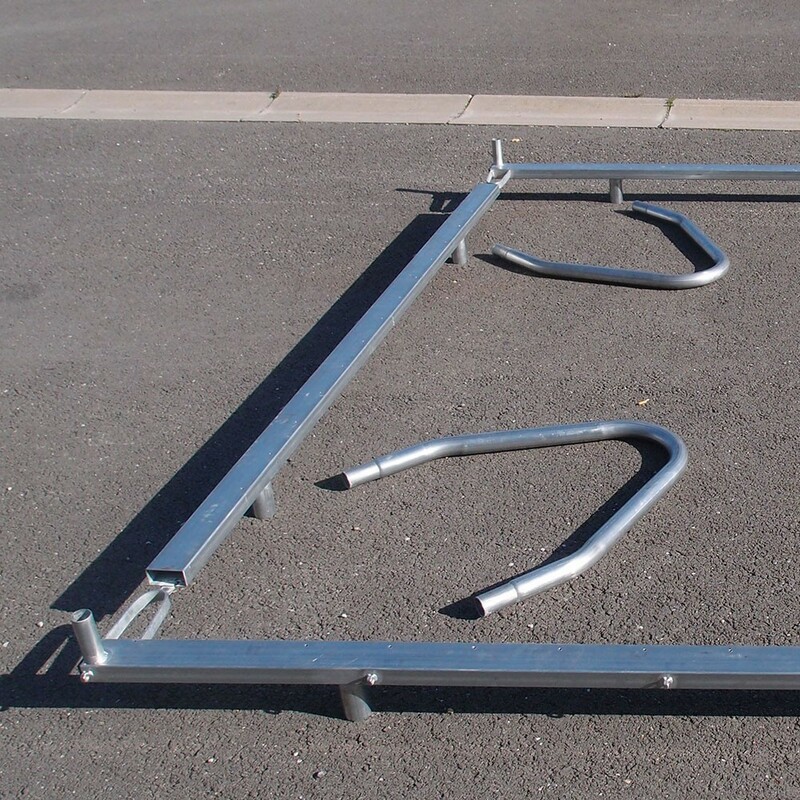 With its 80 springs of 215 mm in length, this rectangular trampoline provides great bounce. 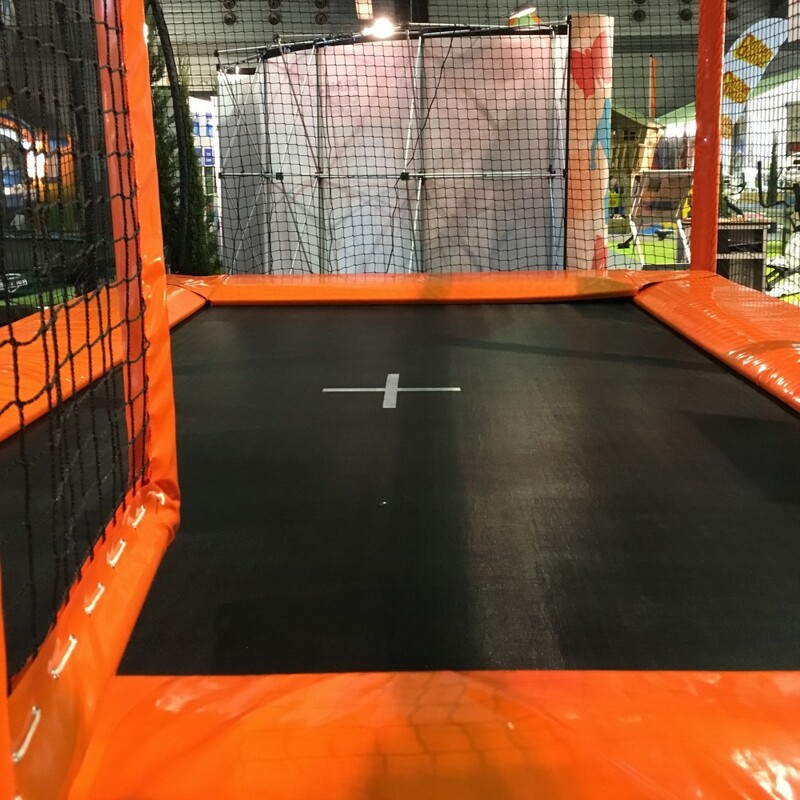 Regarding safety, the Pro One 365 trampoline is provided with a safety enclosure that complies with all European standards for general public usage. 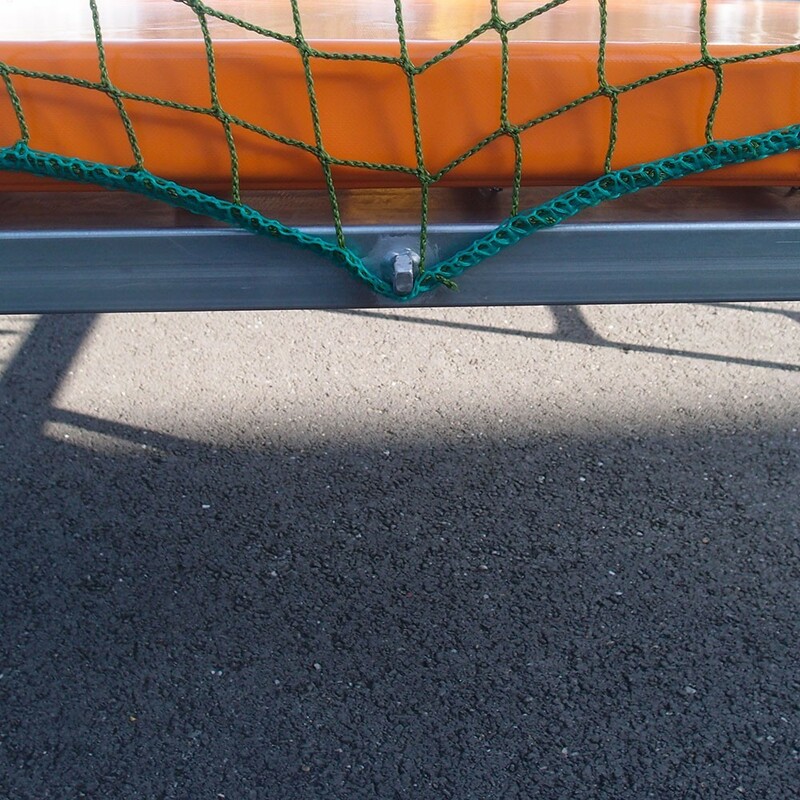 It represents a completely secure playground for users. 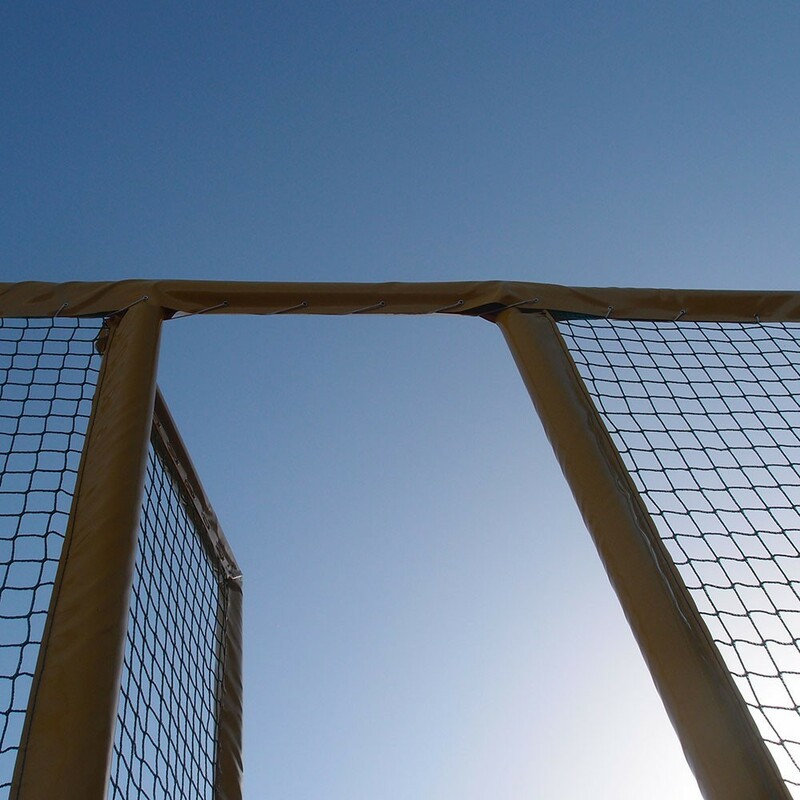 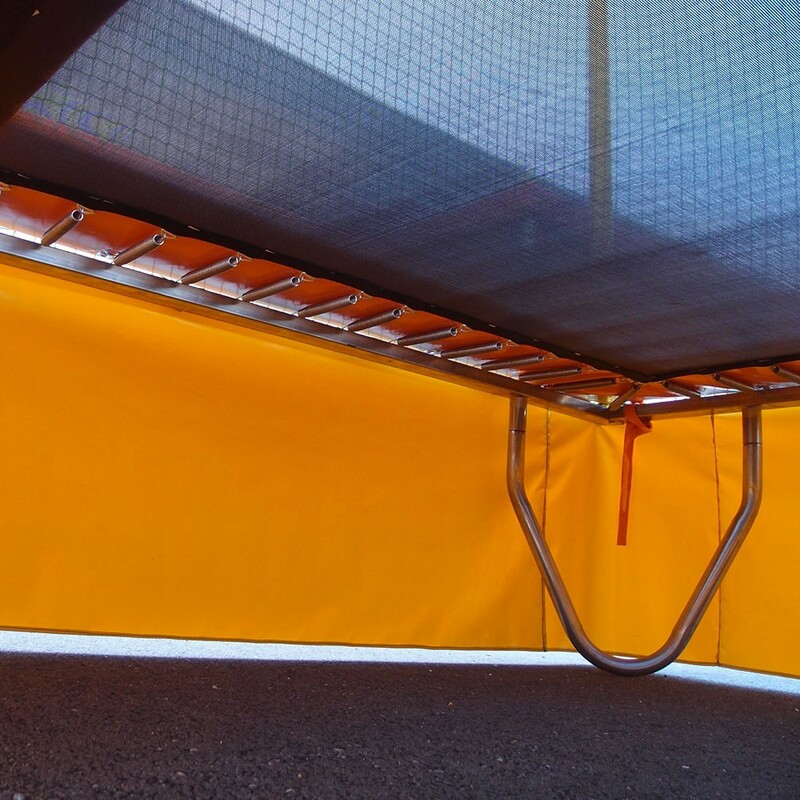 The safety enclosure is held up by 8 steel posts covered with protective foam and PVC sleeves. 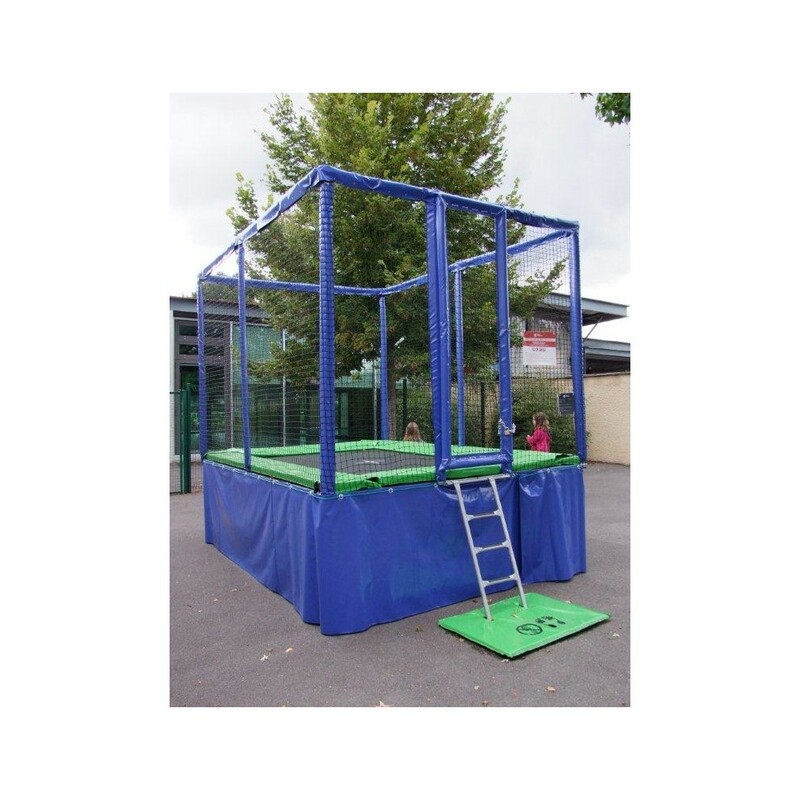 A real door upon hinges is used provide a wide and secure entrance to the trampoline. 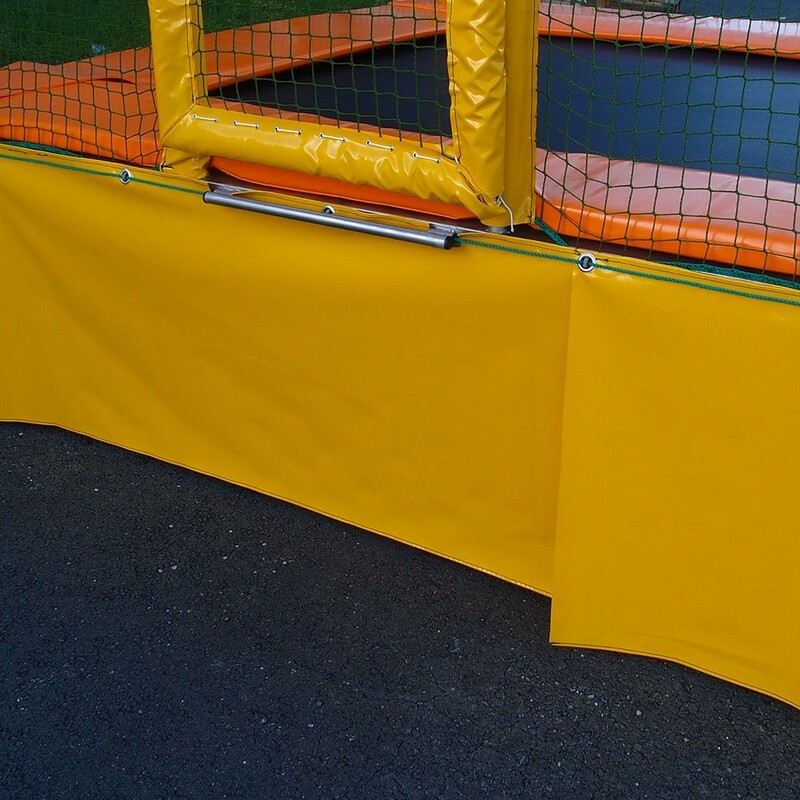 Frame pads made with thick polyethylene foam and PVC covers are positioned all around the trampoline and break any eventual falls. 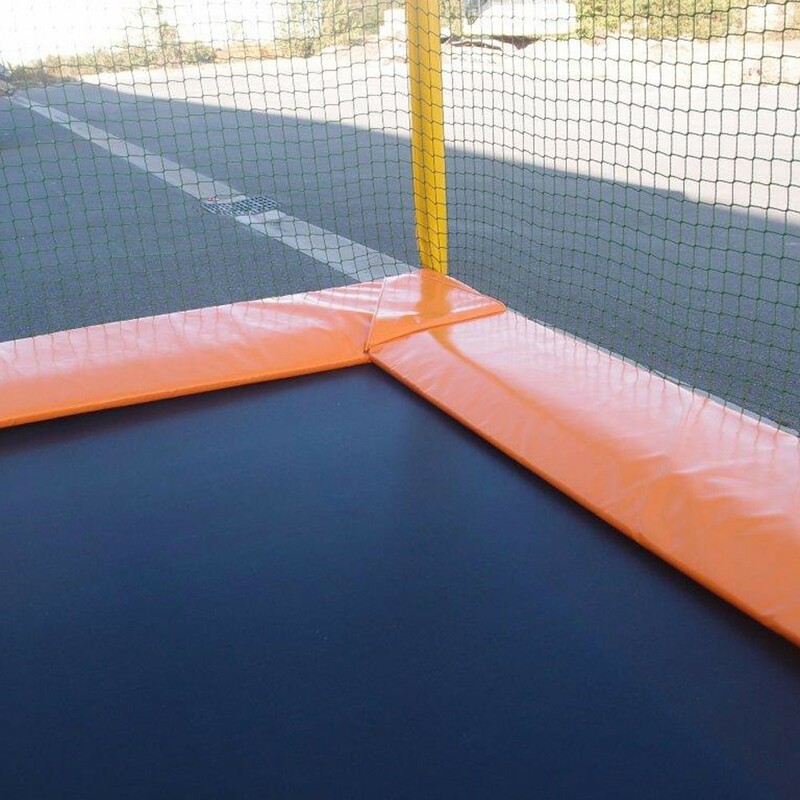 A protective skirt is also set up around the base of the trampoline structure to stop children from going under the trampoline when it is in use. 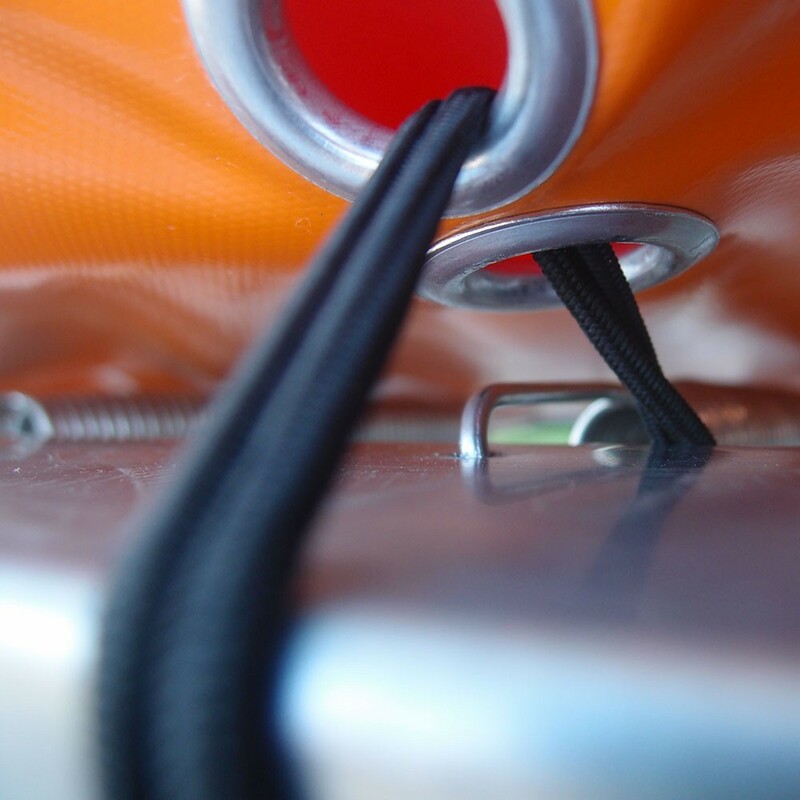 You can choose the colour of this skirt and you have the option of customizing it with your logo. 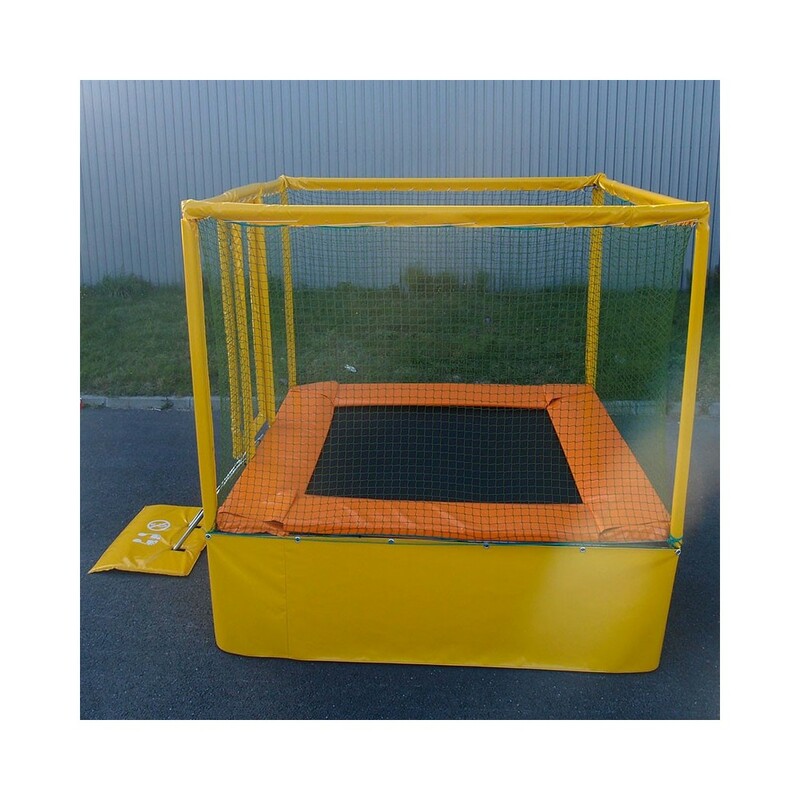 A ladder and an entrance mat are provided with your trampoline. 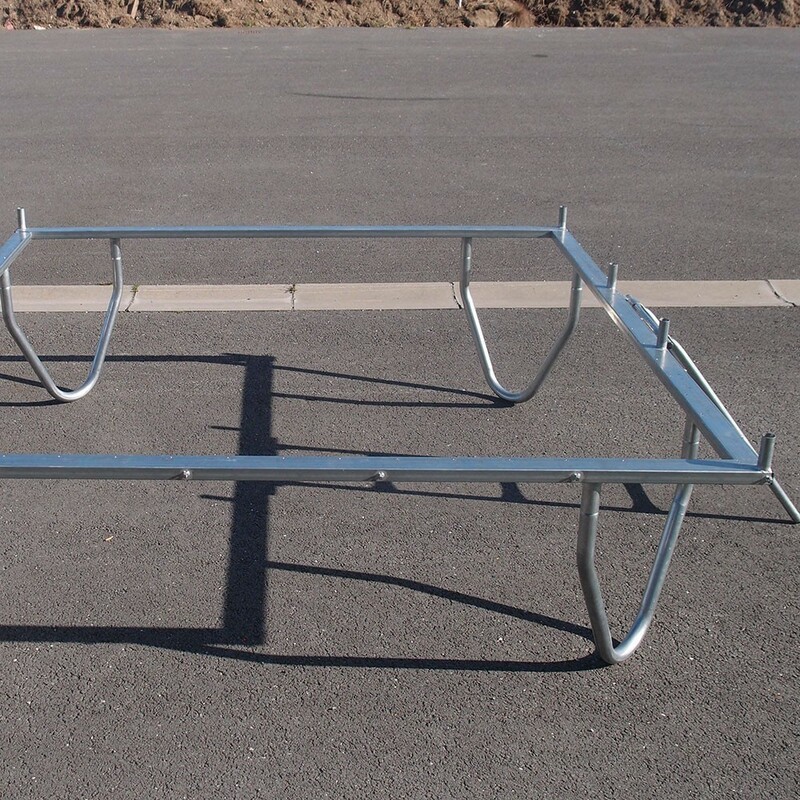 An optional step-ladder with handrail is also available, and sold separately for €166.67, excluding VAT. 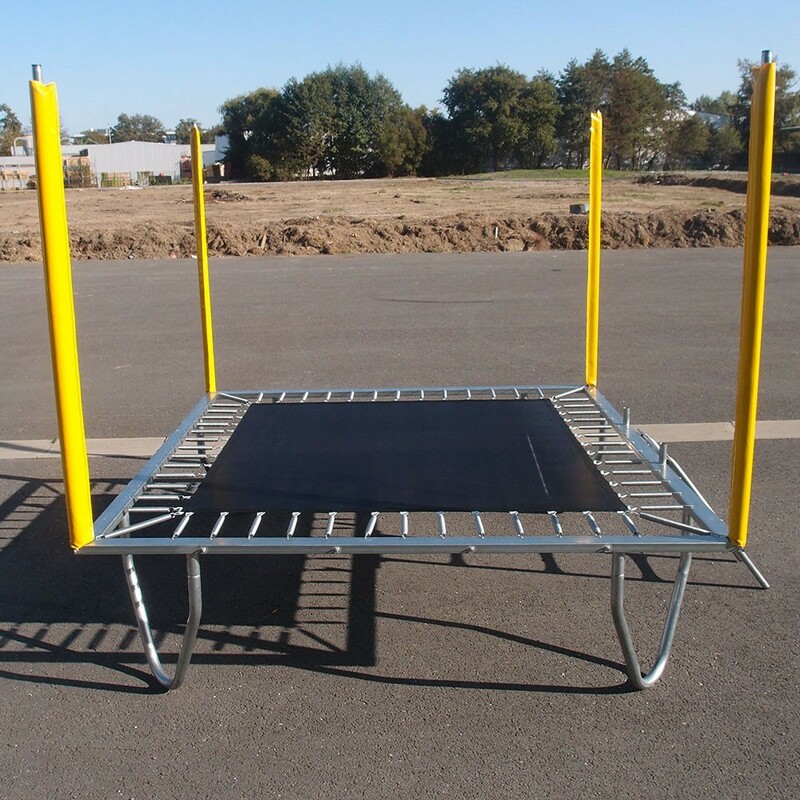 Thanks to a detailed guide the installation of your trampoline is relatively easy.